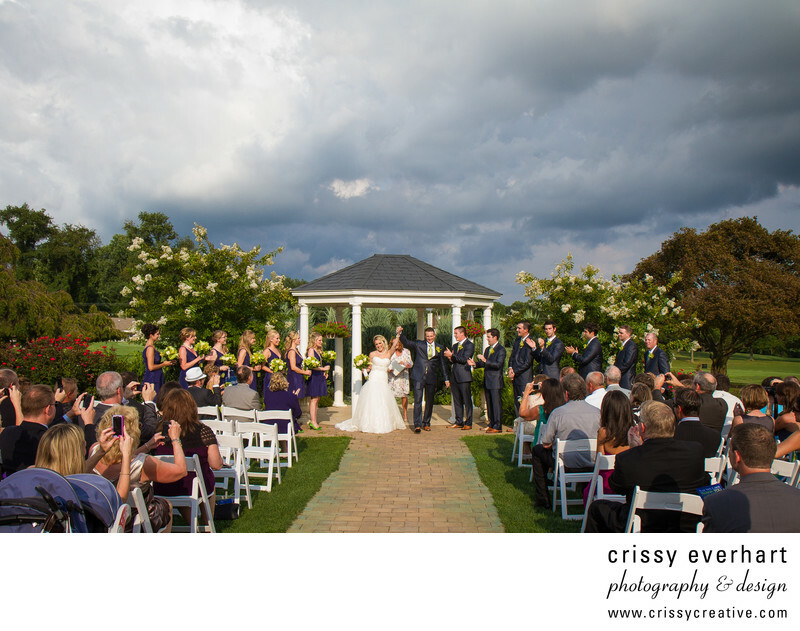 Summer storm clouds fill the sky as showers hold off until the end of the ceremony for this Penn Oaks couple. In this photo, the bride and groom have just been pronounced husband and wife and they raise their hands in celebration as their bridal attendants and guests all cheer them on. The ceremony took place outside the club house in front of the gazebo, where guests sat along a brick walkway in white folding chairs.